I love being outside, especially first thing in the morning. We recently moved and have acres of woods at the the back of our house. I look forward to having my morning coffee on the back deck. It is very serene. I sit and listen to the symphony of birds as they perform their morning song. 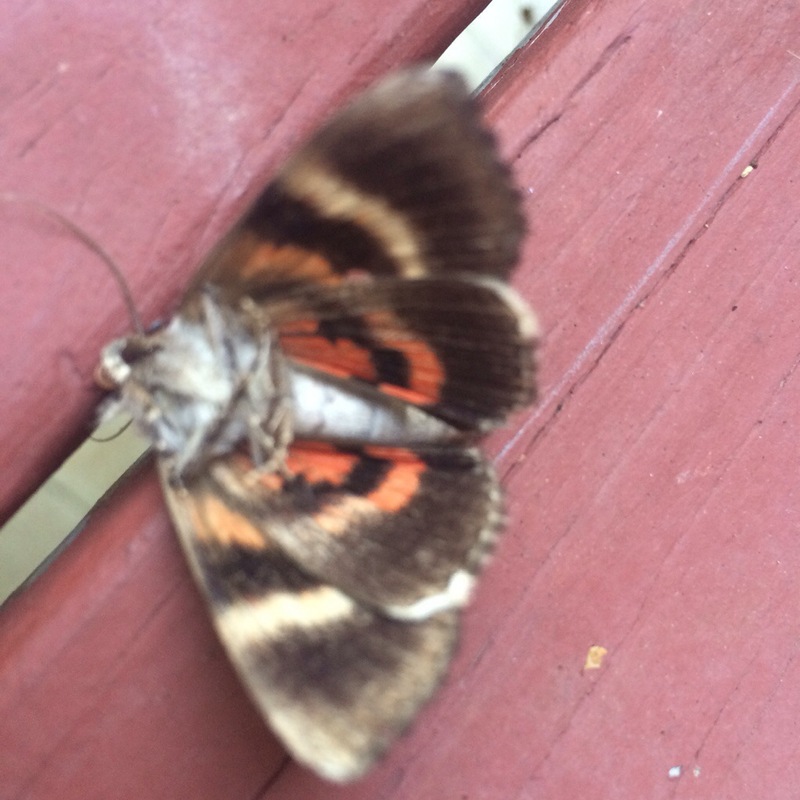 This morning I was greeted by a beautiful moth on my deck floor. Unfortunately the moth was dead, but the colors were captivating. I tried to get a close up picture of the moth so you could appreciate how beautiful it is. Then I decided to start watering my potted flowers and came across a beautiful white flower that had opened up. Its stem bent almost as though it was leaning away from the pot so as to be noticed. I couldn’t resist taking a photo of that as well. You will see that my toes ended up in the photo. I was going to crop them out of the image, but decided to leave them, in because the painted nails and the flower are both reminders to me of how grateful I am for the simple summer pleasures.